My quince stays yellow -- was it ripe? It looked ripe. Watching the news from Houston has been so sad. It’s inspiring and heartening to see ordinary people being decent, even heroic, in a crisis, but also, as I said, sad. Every citizen in a boat rescuing dogs and old women in Texas has been demonstrating more concern for fellow countrymen than that petty, divisive gargoyle in the White House. Every middle-class American who picked up a phone and donated $25 to the Red Cross is more generous. Our leaders are beneath us. And then Kim Jong-un has to go and fire a missile over Japan. Isabel texted me that it was a beautiful day in Seoul and no one was “freaking out” and I told her I’m not freaking out either, which is true. Not thrilled, though. In lighter news: Our quince tree bears more fruit every year and we got about ten pounds of knobby, fuzzy yellow quinces this summer. If you’re not interested in the culinary uses of Cydonia oblonga, with some asides about old baking books, you might want to sit this one out and spend a few minutes here instead. -Quince ginger cake from Jim Dodge’s American Baker. Dodge was the pastry chef at the Stanford Court Hotel in San Francisco for many years, and I’ve baked the hell out of his books, which I guess you could now call vintage. They’ve seldom disappointed me. 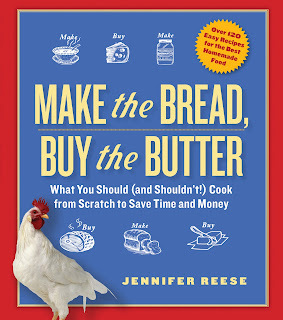 American Baker is great, but I’m also going to plug Baking with Jim Dodge, which you can buy for peanuts on amazon. Worth every peanut and then some. The first recipe I ever made from Baking with Jim Dodge was a rhubarb-cherry meringue pie that I carried across New York City to a party in the summer of 1992. I was so excited — I’d tasted the filling and everyone was going to be in awe. I vividly recall sitting on the subway, peeking into whatever inadequate contraption I’d devised to transport a pie across Manhattan on a hot day, and watching the meringue leak, collapse, melt. The pie was soup by the time I got to the party. I was shocked that it hadn’t survived. I am now shocked that I was shocked. Meringue pie? On the subway? In summer? Bonehead. Anyway, the recipe for the quince ginger cake comes from The American Baker. You shouldn’t go out and buy quinces just to make it, but if you’ve got a tree, you’ll enjoy this simple, brown, gingery cake. The recipe is here. I substituted Lyle’s golden syrup for the molasses, used fresh ginger rather than powdered, replaced buttermilk with yogurt. Not saying you should do any of those things, I just personally dislike molasses, prefer fresh ginger, and didn’t have buttermilk. -Honey-stewed quinces from Richard Sax’s Classic Home Desserts, which is another treasure of a book, fat and friendly, packed with enticing vintage recipes. In fact I’d put this title just a notch above the Jim Dodge books. I flipped through my ravaged copy of Classic Home Desserts this morning and discovered I’ve made 72 recipes from its pages since the mid-1990s. What’s even more impressive is that there are at least 72 more that I would like to try. Omaha caramel bread pudding. Iowa custard pie. Jam roly poly. English brown bread ice cream. My favorite recipe from the book, an easy apple cake that I’ve made a half dozen times, is here. Back to quinces: To stew them, you peel and core them, cut them up, saute in butter and some sugar, add white wine, honey and lemon juice. Simmer until tender. My quinces required quite a lot less cooking time and a bit more sugar than called for, but once I got the sweetness right they were great. Like cooked apples, but with a tangy bite. I ate some of the stewed quinces on yogurt and the rest I used to make. . .
-The Coach House quince tart. This recipe, also from Classic Home Desserts, originated at the legendary Coach House restaurant in New York City, supposedly a favorite haunt of James Beard. (It closed in 1993 and was replaced by Mario Batali’s Babbo.) The Coach House was famous for its corn sticks, black bean soup, and mocha dacquoise, in addition to this quince tart. To make the tart, you spread some honey-stewed quinces over a rich, buttery crust, top with lattice strips, and bake. Serve with whipped cream or honey ice cream. I took this pretty dessert to my sister’s house on Sunday for family dinner and unless they were just being polite, everyone loved it. Mystery: James Beard also published a recipe for the Coach House quince tart, but it is completely different. Bonus: I hope it tastes good because this is one ugly quince dessert. So happy to see Richard Sax getting some kudos. I too own that book and have baked many things out of it that became standards, in particular his Fudgy Chocolate Layer Cake, Hilda's Apple Cake, and the Brown Betty. I agree with putting his book above the Dodge books, though they are of similar stripe. I love quince but so rarely commit the time to poaching it now that I'm not baking professionally. It's in a class of its own. Yeah, quince is a hassle. I'm glad I planted that tree but every year there's this pressure to figure out what to do with it. I love quince and am always keeping eye out for it in the store here in Colorado but it rarely shows up. I wish I could grow a quince tree here and have tried a few times with no luck. I keep thinking they should ship easily since they're so sturdy - does anyone know a decent mail order place to acquire some? One of my favorite things I've made with quince was a lightly sweetened white bread dough wrapped around a whole, lightly poached quince from Naomi Duguid's HomeBaking. It was simple and delicious. Glad to know the people of Seoul aren't freaking out. Little things like that help this person of Colorado to freak out slightly less. Sigh. OMG, I wish I'd known about that quince recipe before I used them all up! I actually don't find them as sturdy as I had thought they'd be. They bruise and then they seem to start rotting from the place that they bruised. I realized yesterday I just can't listen to Korea news anymore. It's too frightening. Not just because of Isabel, because of everyone in the world. The word quince is delightful. Also delightful, Richard Sax' Classic Home Desserts. I love the brown sugar shortbread- though I make it with a mix of maple sugar and brown sugar. I am so unsettled all the time. I can't shake it. Very reasonable! I'm much more amused by that link than I should be :) I've never had quince-do you ever see it in stores? I'm in North Carolina and I'm not sure it grows here. I think the first time I even thought about it was after seeing an Ottolenghi recipe for poached quince that characterized it as "scary". My sister-in-law is also in Seoul this fall-I'm not doing a good job of not freaking out, so I can only imagine how you must be feeling having a kid there. You could probably grow quince in North Carolina -- but I'm not sure it's worth it. But "scary?" Nah. Korea is scary, durian is scary, quince is tame. Per your link, that truly is the ugliest cake I've ever seen. At first glance I thought it was ham, hot dogs, and bean sprouts. I mean really, who decorated it? I cannot imagine being hungry enough to try a bite. I'm on one of the lucky streets in Houston, no high water. Very thankful. We are fostering a little puppy from Houston right now. I planted a quince tree years ago here in Sonoma county. It needs no water at all, and is always over-laden with fruit. I give away tons of quince every year because I just hate the rose-like smell/taste (quince is in the same botanic family). Jim Dodge, btw, works for Bon Appetit Management now; they do the food service for Google. That's a shame, to realize after the fact you don't really like quince. I've done similar things, like planted a lot of potatoes when I was trying to adhere to a low carb diet. I love the Richard Sax book. Have you ever made Persian quince preserves? Really delicious. Also, quince is wonderful in a stew with lamb or beef. No, I've never made Persian quince preserves nor have I used quince in a savory preparation. Next year. I love quince - how lucky you are to have your own tree. I've sometimes had trouble getting poached quince to go that translucent red colour if the cooking time is quick and if it involves only moderate sugar levels, but candied quince does go red. You know, I was wondering why my quince didn't turn pink! My grandparents had a quince tree and so my memories of quince desserts are wrapped up in spending time with them at their far. I don't think I've ever had them aside from that. And ... I LOVE the link. I feel about rhubarb as you do about quince. My grandmother had a rhubarb patch on the south side of her house for decades and she served it stewed and chilled. But she never called it stewed rhubarb, it was just "rhubarb." Like that's the only way anyone would ever eat it. I don't love it that much, but I planted it and eat it and have a special feeling about it because of that connection. Thanks, Jennifer, for introducing me once again to something that is on my food bucket list. I have never had a quince! I saw them once in the market, and I should have bought some since I have never seen them again. I do have the two books coming from the library, so maybe I will find some other inspiration. Oh, and I have nudged the Donald over and over again since you posted that link. It's better than fuming. Isn't that "push Donald" thing weirdly amusing? I mean, I did it a dozen times and kept laughing like an idiot. That cake is as epic as the Sandra Lee Kwanzaa Cake! Quince should start showing up at the greenmarkets here in NYC. The sight of them makes me sad because it means that summer is winding down. Loren! I had never seen that Kwanzaa cake, it is the most appalling cake ever! And she calls corn nuts acorns?? That petty divisive gargoyle in Washington donated $1,000,000 of his own money to Houston. How much did Hillary and Bill donate? It take it all back, he's a saint. He's no saint, nor is he a devil. He doesn't do everything perfectly but he also doesn't do everything awfully. He is human. I'm willing to give him a chance. He may screw it up, I don't know. No one knows but to judge him as a demon is not fair. I feel name calling is beneath you. I love your writing and your wit. I love reading about your adventures in cooking and I will continue to follow your stories. I promise to not comment on politics again. I love quince and tried to grow a tree in my back yard, but it died. The orchard sent me another, and it died, too. I can't explain why! All last fall I made quince sorbet for the restaurant, and took immense pleasure from cooking it. I cooked it in some off-the-cuff approximation of simple syrup, covered with a paper cartouche, until it turned as red as garnets. But you really do have to cook it for hours to get it that color. The thing about quince is that it doesn't disintegrate if you cook it that long, as apples would. It just magically turns red. Two years ago, I was trying to impress a chef, and I made a dessert using poached quince slices that I arranged into rose shapes and perched atop a butter cake, then served with rosewater semifreddo and candied rose petals. It was very pretty (if absolutely impractical to plate), but not as delicious as it should have been. I don't know, that poached quince dessert sounds pretty delicious to me. That's so frustrating about your quince trees. Is it too hot? Can U tell me recipes about it? telephone answering services Thanks for sharing the article. Keep updating more with us. This device is an absolute necessity have for each cook and any individual who wishes to make baking so considerably simpler and bother free. I wish you a visit to my humble site.